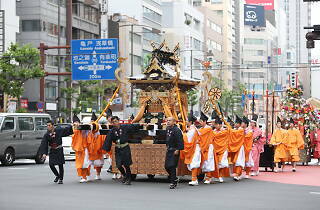 One of Tokyo's greatest traditional festivals returns in May. The Kanda Matsuri is customarily held on odd-numbered years and consists of a week-long succession of ceremonial rituals and parades, centring around Kanda Shrine. 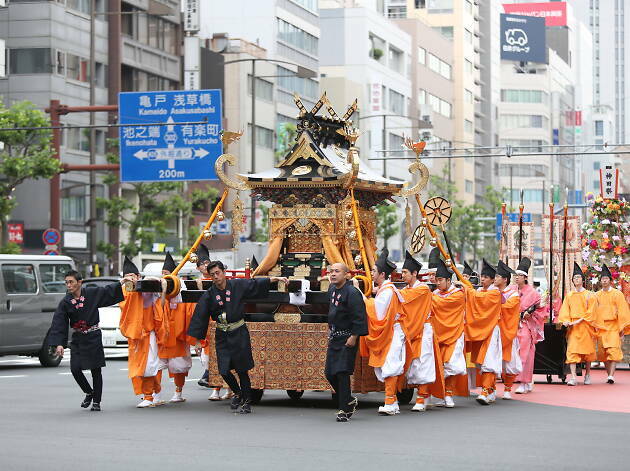 The highlights are on May 13, when hundreds of people parade through Kanda and the surrounding area, bearing mikoshi (portable shrines) and accompanied by Shinto priests on horseback; and on May 12, when the locals take to the streets with nearly a hundred portable shrines of their own.